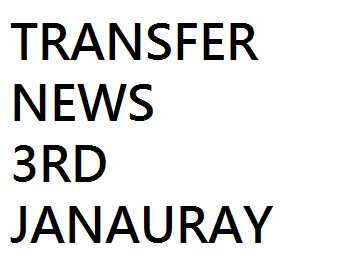 Transfer Rumours: 3rd January 2015: Manchester United eyeing Real Madrid Varane, Steven Gerrard to join MLS in the summers, Lukas Podolski set to complete Inter Milan move. Chelsea, Arsenal, Manchester United and Liverpool all the top Premier League clubs linked in today’s transfer news roundup. The Blues confirmed earlier today that duo starlets John Swift and Alex Kiwomya have joined Swindon Town and Barnsley on loan, respectively. Manchester United are targeting Real Madrid centre-back Raphael Varane, as per Daily Telegraph. The Red Devils are likely to pay £19million for the 21-year-old Italian. Premier League duo Arsenal and Liverpool will go head to head for Lazio attacker Keita Balde Diao, according to Daily Star. The Serie A starlet is one of the most highly rated youngster. Several MLS outfits are planning to capture Liverpool skipper Steven Gerrard who will leave at the end of the season. LA Galaxy are planning to offer 100,000-a-week to capture his services. Express reported that Borussia Dortmund midfielder Ilkay Gundogan is targeted by Manchester United once again. The German midfielder is likely to leave the Bundesliga outfit this month. Arsenal forward Lukas Podolski is set to complete his loan move to Inter Milan. The German forward has thanked the Arsenal fans for the love and support.